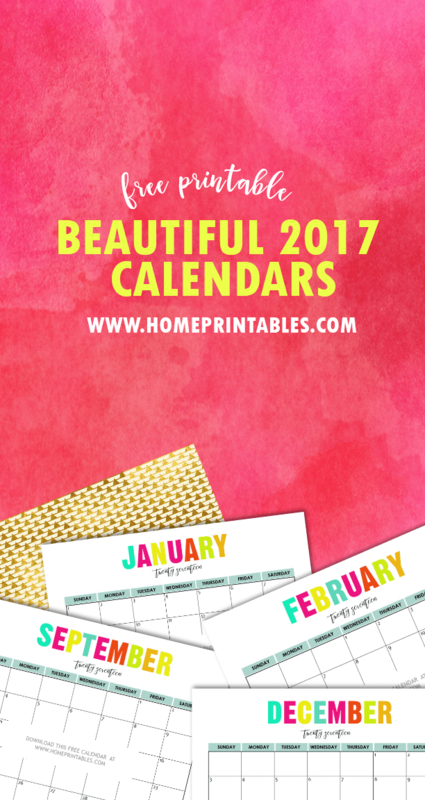 Free Printable 2017 Calendars: Bright and Beautiful! Getting ready for the year 2017? 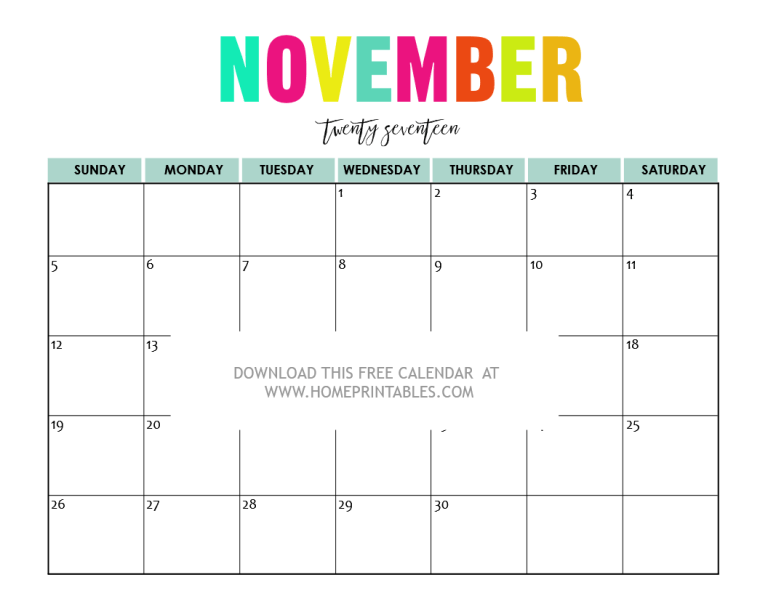 If you would like to map out your plans ahead just like me, here are your free printable 2017 calendars! They are bright and definitely beautiful! 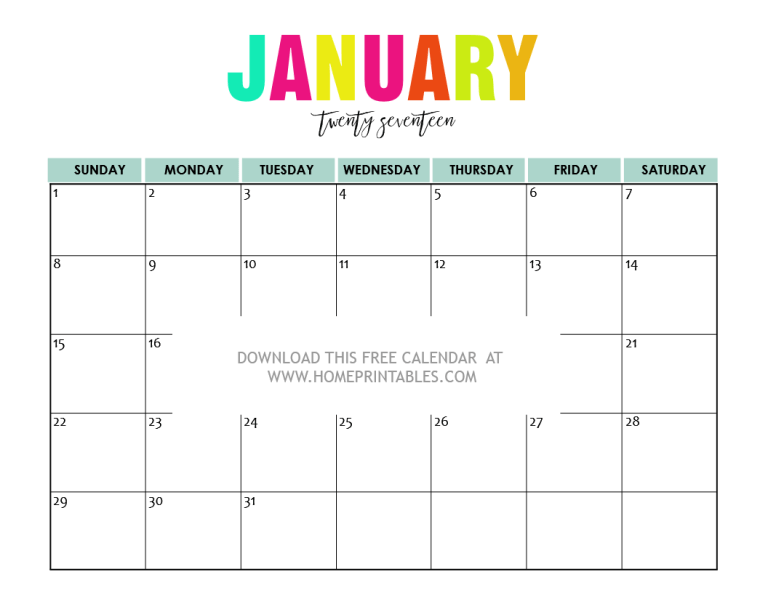 These free printable 2017 calendars are great to use to plan your year! Snag the monthly calendar set and enjoy! I have never been this excited to share a freebie here in Home Printables blog and it’s surely because the printable I am about to share is something that I truly love, and I think you’ll love, too! 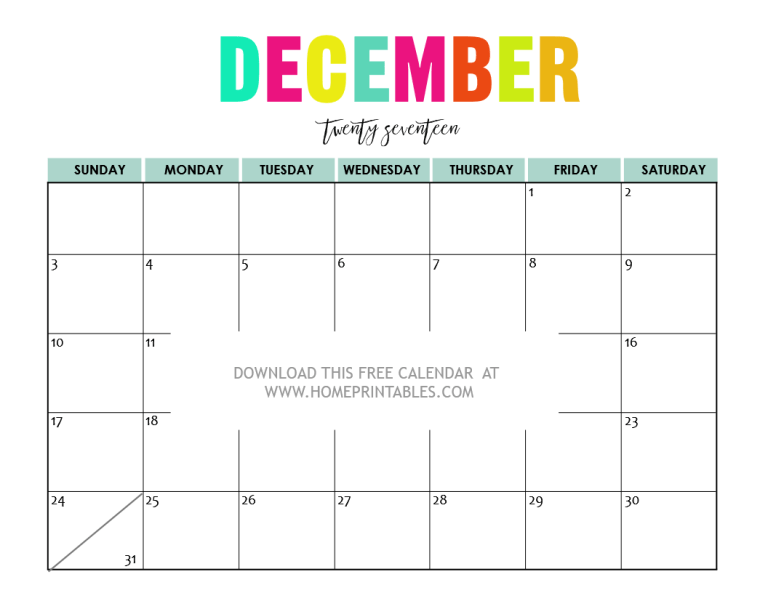 If you are already looking for your free printable 2017 calendars by this time of the year, I am happily sharing Home Printable’s Bright and Beautiful 2017 Calendar set! I am pretty sure you like your 2017 monthly calendar to be fabulously fun, refreshing and pretty. Isn’t it? I had those in mind while creating this calendar. 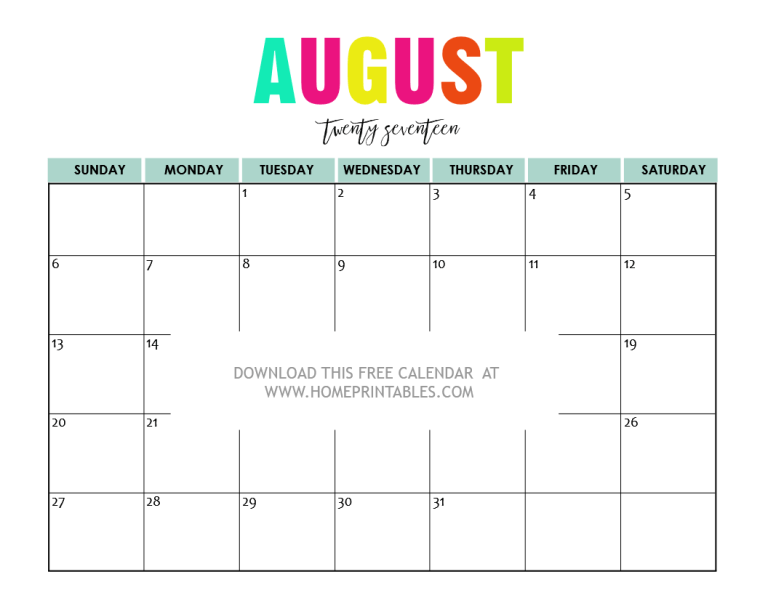 I wanted to make a really gorgeous calendar as I relaunch the Home Printables blog! The 2017 calendars you are about to get comes in bright, bold and beautiful colors. They will definitely inspire you to plan your days! 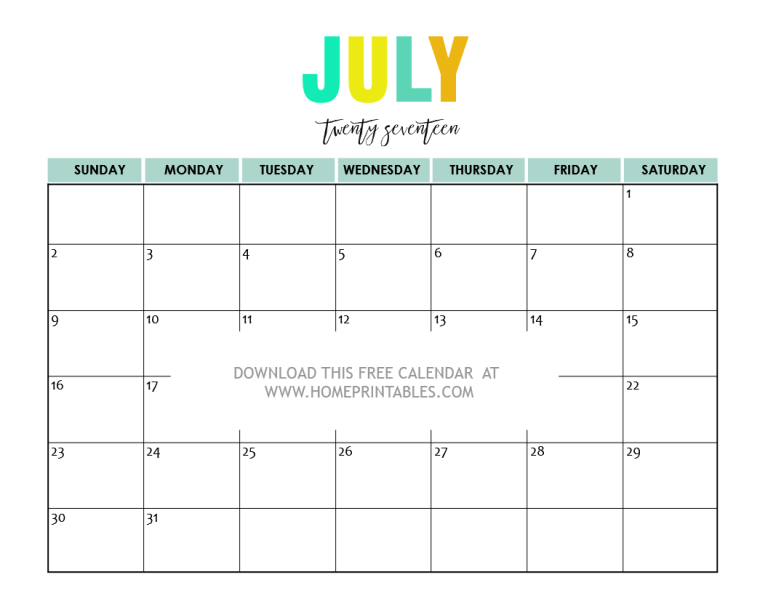 I have made sure to give you enough room for each day of the month for your daily calendaring! Your download files will all come in standard letter-size paper and you’ll be getting them in PDF files. Without further ado, I am joyfully and proudly presenting to you Home Printable’s best calendar design ever! 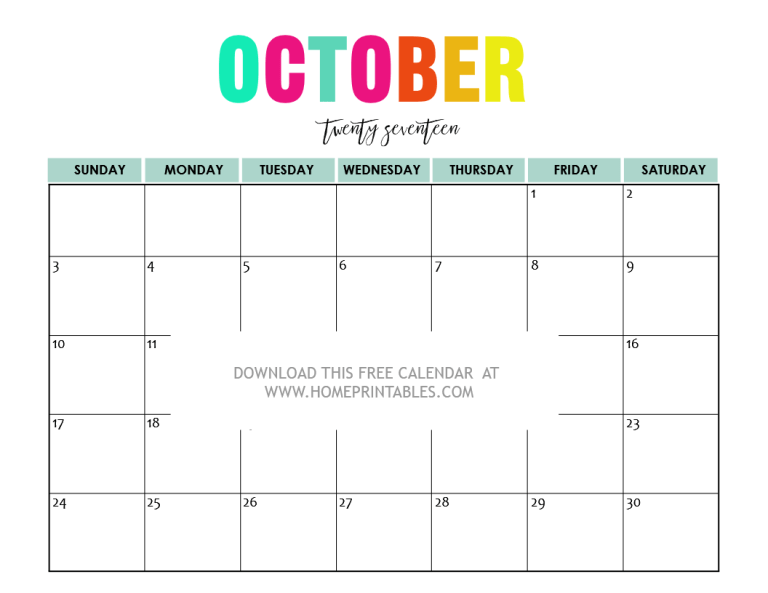 The Free Printable 2017 Calendars: Bright and Beautiful! Here they are! Do you like the fun colors? Your first set of calendar for the first half of the year are all here. And as I’ve previously mentioned, they’re all conveniently in PDF files. Now let’s continue the calendar tour and view what I have for your for the months of July till December! That’s it! You finally have your twelve monthly calendars for an organized 2017! Would you like to print your copy for the rest of the months as well? They’re here! I wish you all an awesome year ahead with these calendars as your partners to plan your fabulous year! Where are you planning to use these calendars? Print a set for your kitchen to use for your meal planning and print a copy for your home and office for your daily to-do’s! 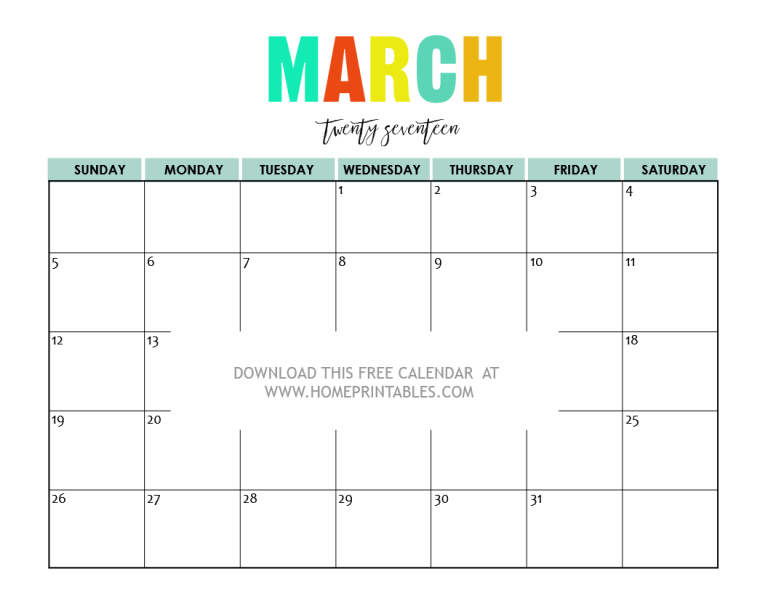 I also suggest that you print a copy of this monthly calendar for the kids to include in their school binders, they will also love the fun and colorful design! 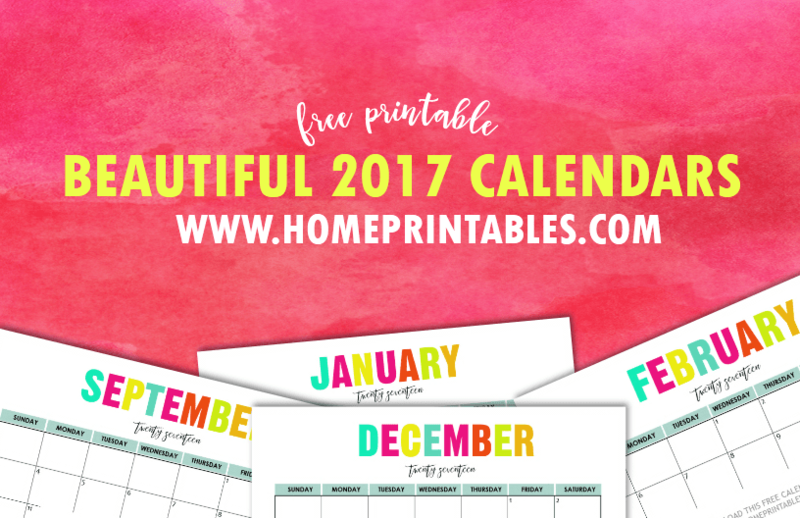 These bright and beautiful free 2017 calendars are prefect to use for daily planning! 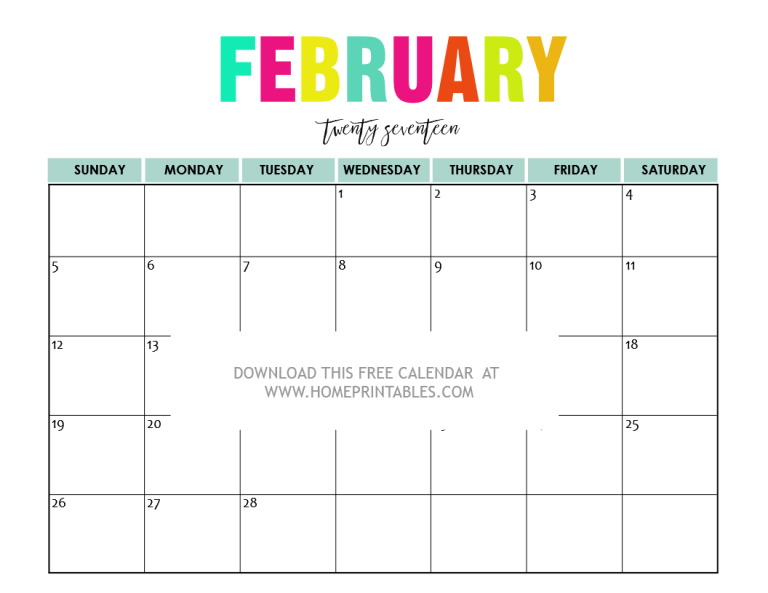 Moreover, I would also like to tell you that I have previously shared another set of free printable 2017 calendars on the blog of which you can easily view here! Those calendars are very feminine in pretty shades of pink! I think you should grab them, too! Also, I have tons of freebies in my other blog, Shining Mom! 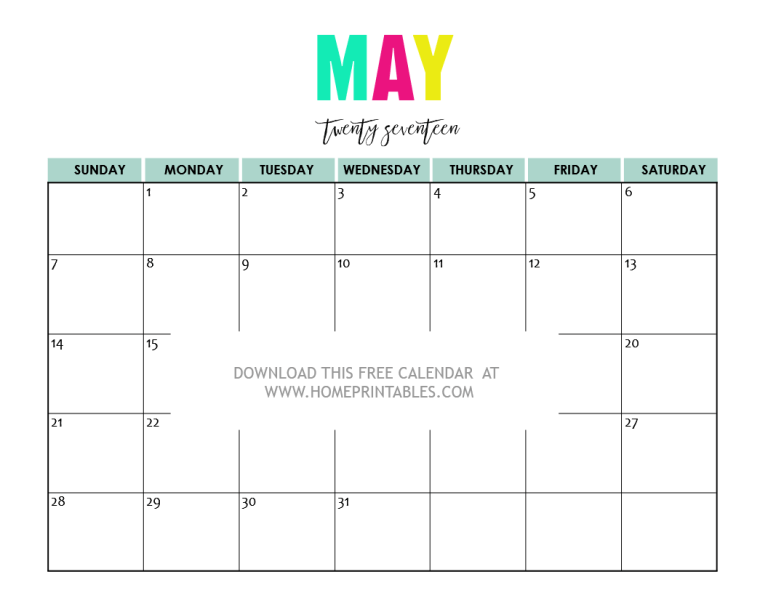 May this free 2017 monthly calendar help you stay organized and productive though the year! I hope you can help me pin and share this fun and pretty freebie! 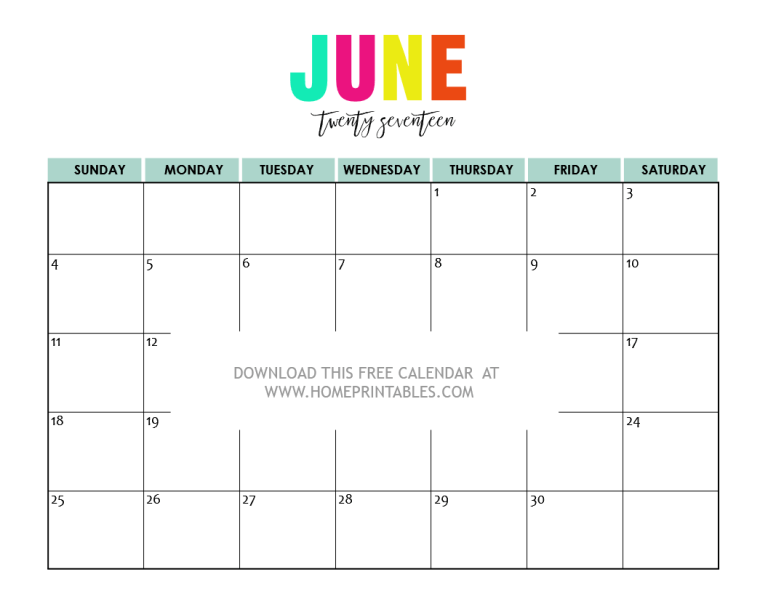 FREE PRINTABLE 2017 CALENDARS that are oh so bright, colorful and beautiful! Get your copy to plan your year ahead! Cheers to an awesome 2017 from your Home Printables family! Enjoy these 2017 calendars!